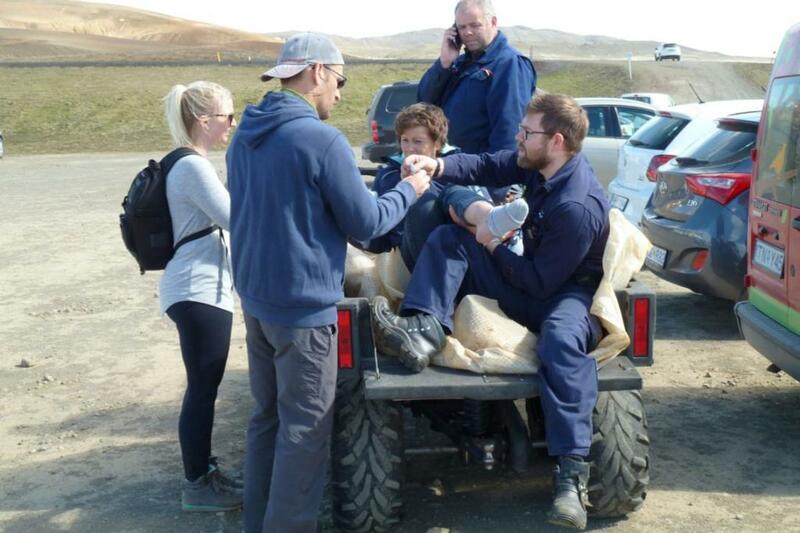 A Dutch couple, Mia and Fred Flipse, are seeking out to find their rescuers who saved them after Mia broke her ankle in the north part of Iceland on June 21 this summer. The have told the Toronto Star it was a Canadian couple from Toronto who took them down a volcano in the north and helped them getting back to hospital. Mia and Fred are trying to get in touch with the Canadians as they want to thank them. The incident happend by a volcano called Leirhnjúkur which is in the Krafla caldera in the north / north-east part of Iceland. The exact time of the accident was at 2pm on June 21. Mia broke her ankle when walking on the volcano but she was able to walk down even though the bone was dislocated. When the Canadians encountered the Dutch couple one of them took Mia on his shoulders and carried her down the mountain. She told the Toronto Star how greatful she was. We need to find these people from Toronto. If you know them, or if you are them, email us and we will get in touch with the Star. Please share this story with your Toronto friends!